Sterling hits a new £300,000-a-week paydirt! Raheem Sterling has committed his long-term future to Manchester City by verbally agreeing a new five-year mega deal. 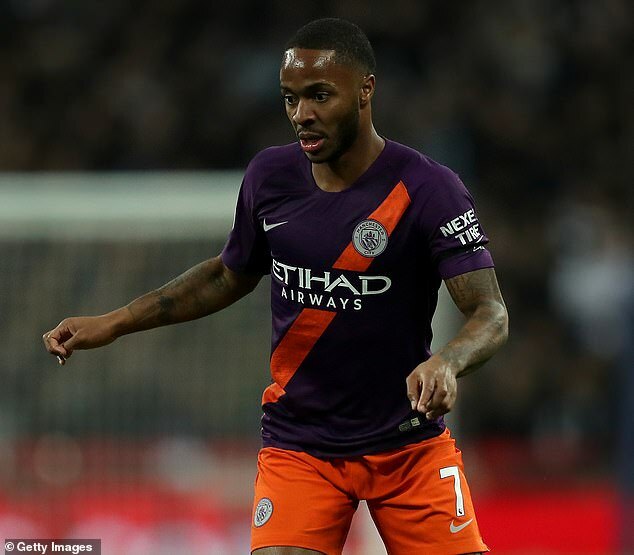 Sportsmail understands Sterling’s improved wages will see him become one of City’s top earners on up to £300,000 per week, and the best paid English footballer. It represents a considerable hike on his existing £180,000 deal in a move that represents a major coup for Pep Guardiola. Sources believe the size of the forward’s contract dictates that he will become the first Englishman to ever surpass £100million in career earnings – including commercial deals and bonuses – before he reaches the age of 25. 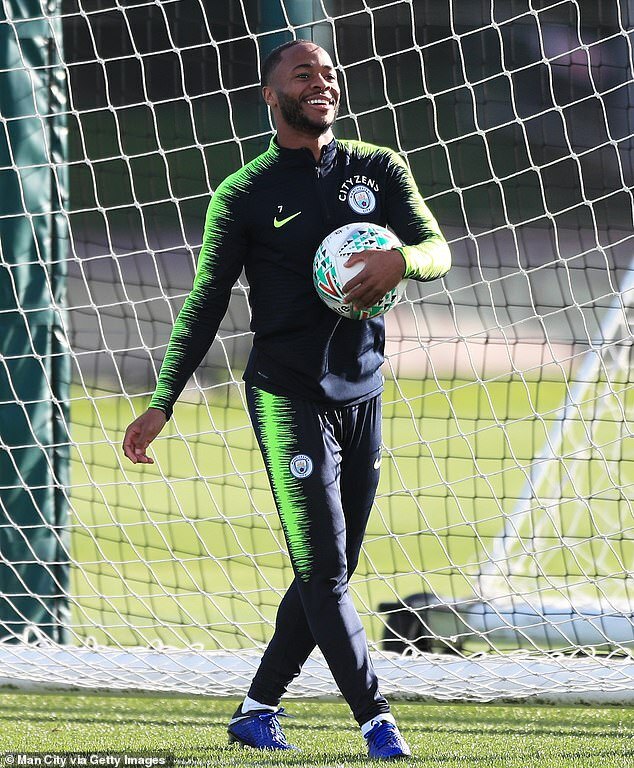 Negotiations have been ongoing for months but Sterling is understood to have accepted the fresh terms, with the contract expected to be formally signed and announced in the coming weeks. Sportsmail can also reveal that the 23-year-old is set to open an academy in London for children from deprived areas in the north of the capital. Sterling, who was raised by a single mother in the shadow of Wembley, wants to offer an opportunity for disadvantaged kids to pursue their dreams. He is awaiting potential premises to become available from Brent Council. ‘Believe in a Dream’ is a possible name of the academy. The England international has always praised youth worker Clive Ellington for offering him a chance at amateur club Alpha & Omega and plans to use his wealth to give something back to the community. 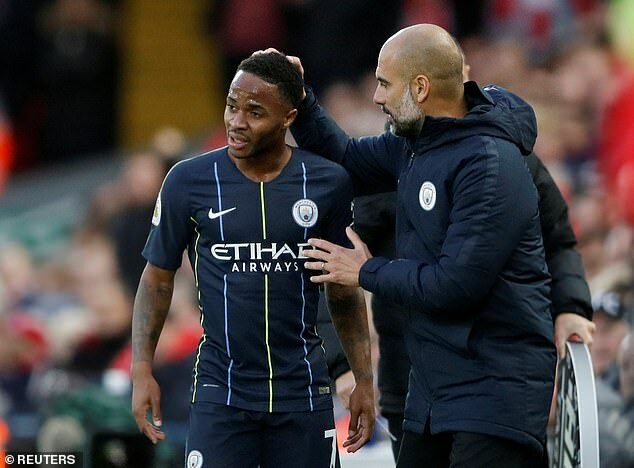 Guardiola has been enthused by Sterling’s progress over the last two years, with the 23 goals for club and country during City’s record-breaking title victory his most productive campaign yet. It could be the most important piece of business sporting director Txiki Begiristain completes this season and puts an end to interest from Real Madrid. Sterling – whose contract was due to end in 2020 – has forever maintained his desire to remain at the Etihad Stadium and recognises how he has developed as a player since leaving Liverpool three years ago. The only major trophies to elude him are the Champions League and FA Cup and he believes winning those can be achieved at City. His focus and dedication to City has been unwavering, however, and the Premier League champions have managed to tie him down as he approaches his peak years.